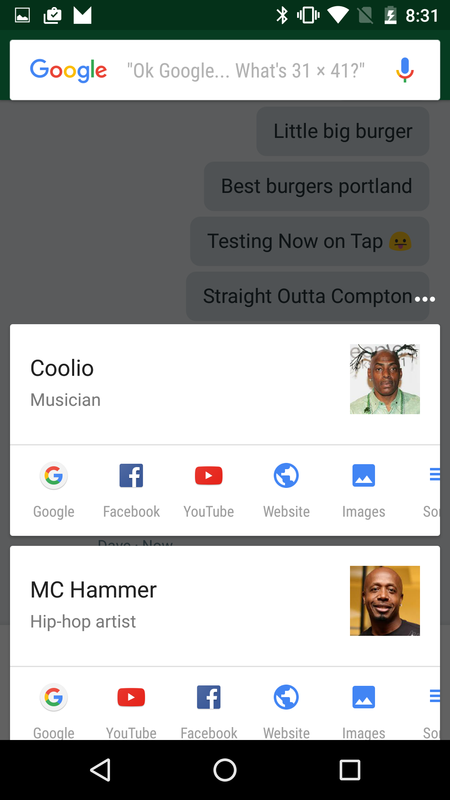 Two weeks ago, an update to the Google app briefly activated Google Now on Tap for those running a device with the Android 6.0 preview. 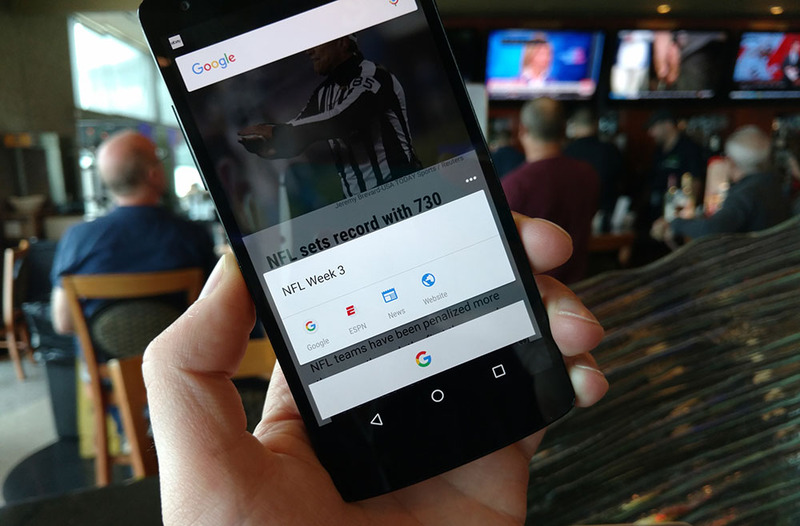 For all of eight hours, owners of a Nexus 5 and Nexus 6 could take advantage of Google’s new service that allows you to pull up relevant information within apps, so that you don’t have to leave what you are doing to get answers. But because the Now on Tap service wasn’t exactly ready for prime time or someone accidentally pressed “GO!”, Google killed it. We have been waiting for it to return and were wondering if today would be the day, now that Android 6.0 is super duper official. 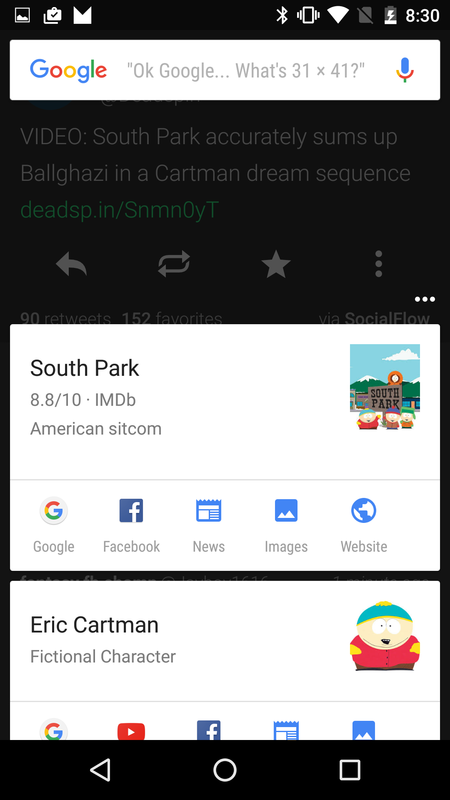 According to a handful of our readers (and our own Nexus 5), Google Now on Tap is back live again! If you are still trying to figure out the service and why you need it, check out a couple of the screenshots below that show Now on Tap pulling up information through a variety of situations. 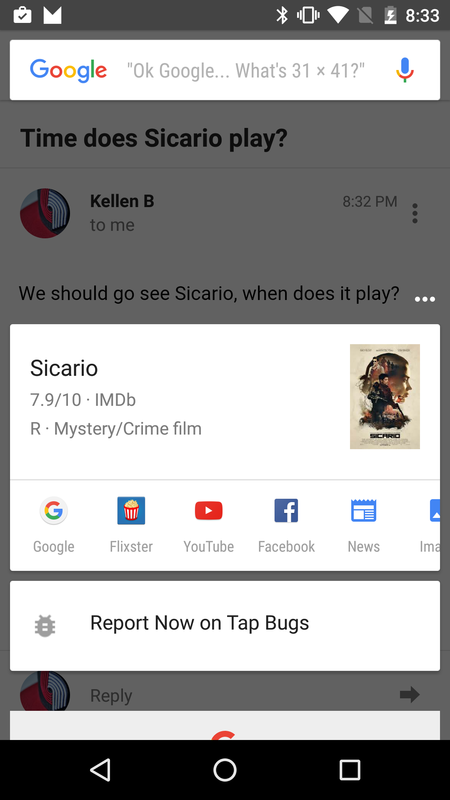 As a reminder, Now on Tap is an Android 6.0+ feature, so if you want to use it, you will still have to be using a device with the latest 6.0 preview, like the Nexus 6, Nexus 5, or Nexus 9. If you are running any of those, long-press the home button when in apps and watch the magic happen. Tuesday Poll: Nexus 5X or Nexus 6P? Samsung's GM of Samsung Pay Claims Verizon Owners Might Have Access in the "Next Week or So"